I was thinking about how strange life is the other day. Some years ago, when I was searching for a better job, I received several calls from the H.R. department of a former employer. It was really an unexpected request for me to come in and apply for the same position that I held a few years before with this employer. Since I was in the market for another job, I decided to call up the H.R. department and inquire about the position. I contacted the H.R. department and expressed an interest in reapplying for the position. The person that I spoke with told me how to go about doing it. I applied first online and then later, in person. When I showed up to apply for the position in person, I had a chance encounter with a woman that worked in the same department with me. I will call her Shelby (not her real name). She was not my supervisor or anything like that. She was more like the supervisor's administrative assistant, but she did have a little influence within the department that I used to work in. We chit-chatted for a little bit, since we had lost contact after I left the company. I told Shelby that I was there to apply for a position in the same department. I explained to her about the ups-and-downs of my life, since leaving the company. She seemed to understand, but here’s where the waters get a little murky: She made an out-of-the-blue comment to me. She had asked me where I am from originally, and I told her that I am from Florida. She went on to say to me that “Floridians are not very loyal”. I am not 100% certain what she could have meant by such a bizarre statement. It was largely irrelevant to the conversation we were having prior to the statement and it is an off the wall opinion. This made me think that she harbored a grudge against me for having left the company. My co-workers and supervisors at the time, didn’t not want me to resign. However, I felt that I had to because of health reasons and to have more time to pursue my education. After I resigned, I learned that the department supervisor quit shortly afterwards as well as two other co-workers in the department. I thought that perhaps, she blamed me somehow for the “upset” in the department. Hence, the statement that “Floridians aren’t very loyal”. It is probably Shelby’s was of saying that I am not loyal because I abandoned the company. It is the first time that I ever heard her say anything like that to me. I have other reasons to believe that she harbors a resentment towards me, but I won’t go into it here. I never followed up on the comment and sort of dismissed it. In retrospect, it shows how childish and trifling people can be. As far as my “loyalty” is concerned, she might be right in some respects. I am not loyal to any one company, and I don’t think anyone should be in this day and age. The days of getting a job and keeping it until retirement are long gone. I have been laid off and fired from more than one job, so I can speak from experience about this issue. Therefore, people should always be looking for better opportunities, because no job is secure. Also, when you apply for most jobs in the state of Florida, you are immediately informed on the application, that you are a prospective employee "at-will.” This means that you do not have a binding contract with the employer to work for them a specified amount of time. In most cases, the employer can let you go for any reason except discrimination or retaliation. At the same time, you can up and quit the job without notice, if you don’t like working for a company. Florida is a "right-to-work" state and unions are mostly discouraged here. That’s how we roll down here. To me, Shelby’s comment was illogical, to say the least. Especially considering that she told me that she had left the company due to disagreements with the new management. Then, she came back to the company when she found out that the grass wasn’t greener on the other side of the fence. If you want to follow her line of logic, I guess this must make her not loyal, as well. *Sigh*. I can’t stand ignorant people. Anyways, to make a long story short. After I applied for the job. I never heard from human resources again. This is despite calling them several times and leaving voicemail messages to the person whom originally contacted me. Although I have no real proof of this, I think Shelby badmouthed me and sabotaged my efforts. I figure that Shelby must have contacted the H.R. manager and/or the department supervisor (whom doesn’t know me) and suggested that they should not to hire me. It’s either that or they may have found someone else to fill the position. I doubt it, though. I had the required training and experience for the position. Everyone there knew me as a good worker and I got along well with most of the co-workers. I never got write-ups or reprimands while I was there. But it’s okay. That job probably just wasn’t meant to be. I’ve prayed about it and leave people like that in the hands of the Good Lord. I believe that God can fight your battles better than you can. $10 Extrabucks rewards when you spend $30 on select Proctor & Gamble products, including Bounty paper towels, Charmin toilet paper, Gain and Tide laundry detergents, and Dawn dish liquid 9-10.3 oz, Crest toothpaste, and Covergirl cosmetics. These deals are part of a 4 day sale that is over, October 31, 2012. I used 9 manufacturer coupons, 1 CVS store coupons, and 1 Extrabucks reward. I earned the $10 Extrabucks reward for buying at least $30 of P&G products. I used my CVS reusable tote bag and Green Bag Tag during this shopping trip. I earned enough credit to get $1.00 in Extrabucks, since it was my 4th visit to CVS. My total out of pocket cost was $17.05, but it is like I paid $6.05 due to the Extrabucks that I got during the transaction. Retailers like Winn-Dixie, Publix, and CVS pharmacy are offering reusable bags for sale. It is an effort to save the planet and help the environment, by reducing the use of plastic and paper bags. The disposable bags end up in landfills or polluting the earth most of the time. The plastic bag that someone cavalierly discards on the street may end up washing ashore in Tahiti. I never really gave much thought to purchasing reusable bags for shopping. One day, I was shopping at CVS pharmacy and the display with CVS Green Bag Tags and CVS reusable shopping bags just jumped out at me. Some of the CVS reusable bags have very simple designs and others have more fashionable patterns on them. 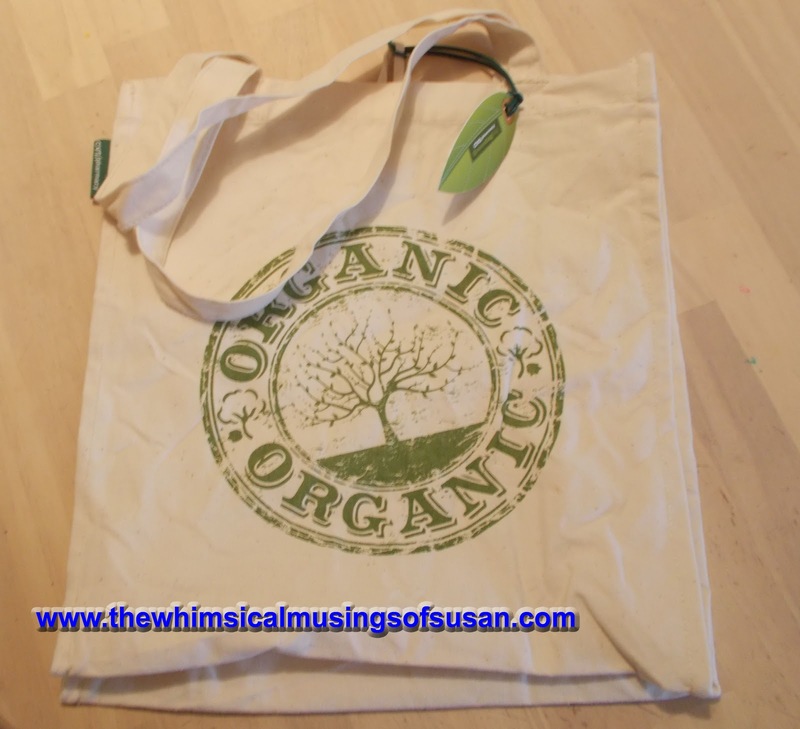 The most important feature of the bags are that they are reusable and made from 100% organic cotton. I read the product information on the tote prior to purchasing it. The tag says “Conventional cotton uses more toxic insecticides and synthetic fertilizers than any other single major crop in the world. These chemicals are harmful to both animals and people, and have a hazardous impact on the environment. Organic cotton has less impact on the environment than conventional cotton. It is grown without toxic pesticides or synthetic fertilizers, it replenishes and maintains soil fertility and it helps build a biologically diverse agriculture.” I am not exactly a fanatic, “tree hugger” type, but still, this sounds like music to my ears. The reusable bag that I purchased cost $5.99, plus tax. It is a large tote of 13.5” L x 15” H x 6” W and has a weight capacity of 25 pounds. Of course, I purchased the leaf shaped, CVS Green Bag Tag for $.99, along with the tote and put the tag on the tote. The CVS Green Bag Tag has a barcode on it to be scanned every time you use it at CVS stores. Not only can you help the environment through this program, you can also earn incentives. CVS customers receive $1 in Extrabucks every 4th visit to CVS. If you plan to purchase the Green Bag Tag, make sure that you have the cashier scan your CVS ExtraCare card and your Green Bag Tag every time you check out. The Extrabuck will print at the bottom of your receipt, once you have earned the reward. You don’t have to buy a CVS tote to benefit from the program, though. You can bring in your own reusable bags as well. It says that there is a limit of one Green bag tag use/scan per day per household. I find this to be not really correct, because I have made several visits to CVS stores in one day. Each time I made a visit, I had the cashier scan my Green Bag Tag, and received credit toward my Extrabucks reward. You will probably never hear me say anything negative about this product. I really love it! First, and foremost, it works! Bic has a performance policy which says that customers can return it for product replacement, if the customer is not satisfied. Well, in all of my years of using this product, I’ve never been dissatisfied with it. Bic Soleil Bella razors usually come in packs of three complete manual razors for between $5-$6. 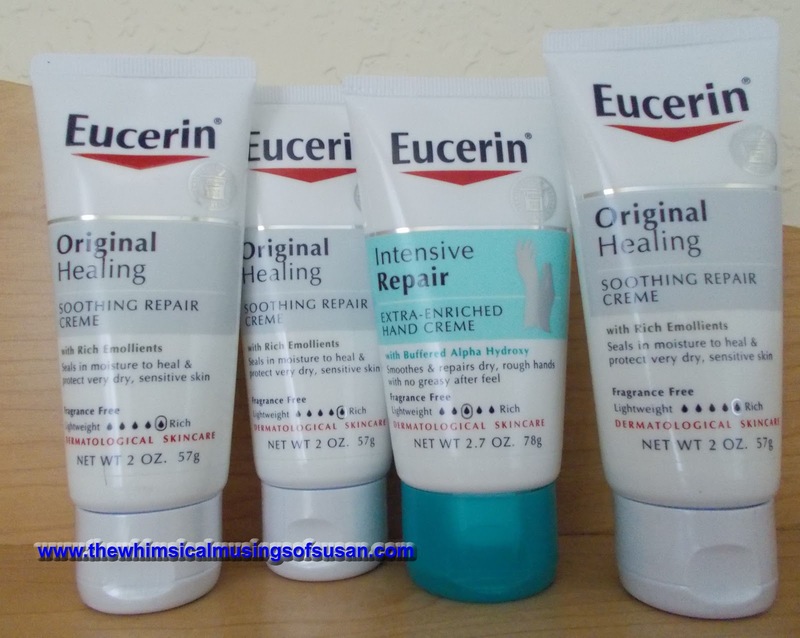 I think that the best places to purchase them are Walmart stores or Publix. These stores run very nice sales on the razors from time to time. Plus, the Sunday newspaper inserts have coupons for $2-$3 off each package or “Buy one, get one free” coupons. There is no reason to spend an arm and a leg on this product. Each razor has 4 blades for easier hair removal and easier rinsing. If you look closely at these blades, you would see that the blades look different from traditional razor blades. There are tiny circular etchings on the blades. I think that this might make for a better, closer shave. The razor head pivots up and down, so that the blades glide smoothly over your curves and angles. The razor head also has two moisture strips, enriched with coconut milk. The moisture strips rest gently against the skin as you shave, and release a little bit of slimy material. They are activated by water or liquids. Even though the moisture bars are present, I still prefer to use some body wash or bar soap, while I shave. I have never suffered nicks and cuts when using Bic Soleil Bella razors. I credit this mostly to the pivoting head and moisture strips. This feature is the opposite of the cheap, razors that have a very rigid, immobile head and straight, slim handle. I suffered many cuts and nicks when I used those cheaper razors and will never go back to that. Another feature that I like about these razors is the handle. It feels so ergonomic and comfortable to shave with Bic Soleil Bella razors. There is a notch on the top of the razor handle near the razor head. You can rest the thumb or tip of your index finger there as you shave. The bottom part and under side of the razor has a soft white, rubber or plastic that make it easy to grasp and hold the razor. I noticed that some of the razors have pretty colors, as well as scents to them. Each razor head also has a cover on it. So, you can easily replace the cover on the razor head and store them after they have been cleaned. I tap the razor in a bowl of water to get the hair out while I shave. When I am finished using the razor, I rinse out all of the hairs. Then, I wipe the razors off thoroughly with some rubbing alcohol. This reduces the chances of getting a nasty bacterial infection. The razors probably last a really long time, but I only use them 3-4 times before disposing of them. 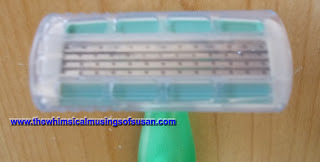 So, that is my review of Bic Soleil Bella razors. They are highly recommended. Bic Soleil Bella, E-Z rinse disposable Razors are manufactured by Bic USA, Inc.